﻿ Best Price on Hotel Gil Resort in Livingston + Reviews! Offering a private beach area, a garden and free Wi-Fi throughout, Hotel Gil Resort is located 984 feet from Livingstone Beach. It also features a business center. The rooms offer simple décor with wooden furniture, air conditioning, cable TV and sea views. The bathrooms are private and have free toiletries. The on-site restaurant serves local-style breakfast until 11:00 after which beverages and sandwiches are offered. The town center with a variety of shops and restaurants is found within 656 feet. 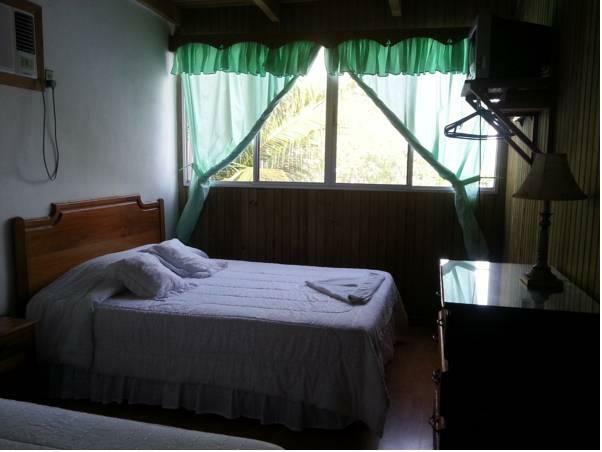 Tours to Río Dulce River, Laguna de las Flores Lagoon and to Siete Altares can be arranged at this property, as well activities such as diving, hiking and fishing. Livingston is only accessible by boat. The property will contact you after booking to provide instructions for a deposit payment. Please note that the reception is closed from 21:00 hours until 7:00 hours of the next day. Guests arriving outside reception opening hours are kindly requested to inform the hotel in advance. Contact details can be found on the booking confirmation. Please note that Livingston is only accessible by boat. Payment before arrival by bank transfer is required. The property will contact you after you book to provide instructions.